A study of schoolchildren has found that most of those questioned thought violence towards women was acceptable if there was a reason behind it. The majority of the pupils said it was justified if the woman had an affair, or if she was late in making the tea. The study by a researcher from Edinburgh Napier University also suggested that girls expect to curtail ambitions once they are married. The research involved 89 primary seven children at five Glasgow primaries. The children didn't agree with violence, but gave reasons to try to justify it if the woman had done something 'wrong'. 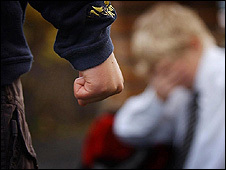 Researcher Nancy Lombard described the findings as "worrying" because the youngsters had naturalised and normalised violent behaviour. She said: "The children didn't agree with violence, but gave reasons to try to justify it if the woman had done something 'wrong'. "The old saying of 'If he pulls your pigtails it means he likes you', translates into violence in adulthood which girls accept as normal." The study also suggested that girls expected to modify their behaviour and narrow expectations once they were married and had children. One of the girls said: "I want to be a dancer or a doctor." But she added: "When I grow up I'm going to have two babies and work part-time in the shop down the road." Ms Lombard said that sexual stereotypes were limiting and modifying girls' behaviour to accommodate boys and men. She said: "All the girls said they don't get much of the playground because the boys dominate the space. "They are still told they can't play football because they are a girl." Ms Lombard called for work with children to start early to encourage respectful relationships, challenge violent behaviour and break down gender stereotypes. The findings of the study will be presented at a conference in Glasgow on Wednesday which has been jointly organised between Scottish Women's Aid and Napier University. Edinburgh Women's Aid spokeswoman Suzanne Moran called for more education on violence towards women: "These findings, in effect, reflect that these attitudes are still widely held in Scotland. "Studies like these reveal that there is still much to be done to eradicate ingrained beliefs that women are to blame for violence perpetrated against them."